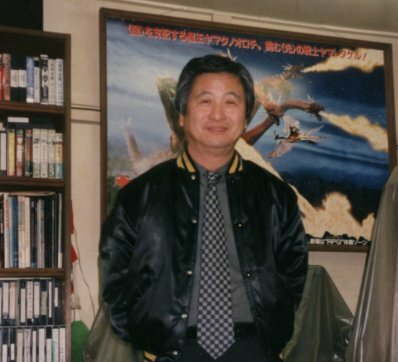 Koichi Kawakita directed the special effects for GODZILLA VS. BIOLLANTE (1989), GODZILLA VS. GHIDRAH (1991), GODZILLA VS. MOTHRA (1992), GODZILLA VS. MECHAGODZILLA (1993), GODZILLA VS. SPACE GODZILLA (1994), and a number of other science fiction films. He also directed the special effects for SAMURAI OF THE BIG SKY (1976) and ZERO (1984), both of which are war movies. David Milner: Why wasn’t GODZILLA VS. BIOLLANTE produced sooner than it was? 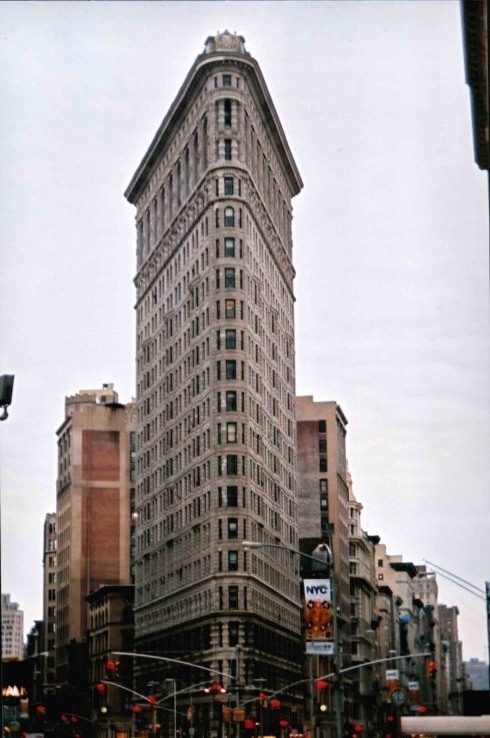 A story contest was held to obtain ideas for what was being called GODZILLA II. About three thousand entries were received. The members of the selection committee read over all of the entries, and after a year chose twenty for further consideration. After a second year had passed, two stories were chosen from among the twenty for final consideration. One pitted Godzilla against Biollante, a monster that had been created by bio-technology, and the other pitted him against a massive computer. Finally, after a third year had gone by, Toho decided to produce the story featuring Biollante. KK: No water could be seen in the footage. It didn’t match the other footage of Godzilla and Biollante doing battle in Lake Ashino that we’d shot. DM: The rays emitted from Ghidrah’s three mouths in GODZILLA VS. GHIDRAH originally were all going to be different colors. Why did you decide instead to make them all yellow? DM: The unfolding of Mothra’s wings that takes place immediately after Mothra emerges from his cocoon in GODZILLA VS. MOTHRA originally was going to be depicted with computer graphics. Why was it instead depicted with models of the wings? KK: The look of analog film is very different from that of digital video. Matching the two is very difficult. I didn’t think the computer graphics fit into the footage that we’d shot on the set very well. KK: The idea was not in the script or the storyboards. As James Cameron said to me, films are living things. They change as they go through the various stages of production. DM: The design of Space Godzilla is very different from that of the other monsters Toho has created. On what was it based? KK: It was based on the design of Super Godzilla in the SUPER GODZILLA game for the Super Nintendo Entertainment System. Space Godzilla from the chest up is very similar in appearance to Super Godzilla. KK: When Space Godzilla arrives in Fukuoka, large crystals instantly appear in the city. They are the source of his power. Since the crystals have underground roots, a machine that can tunnel underground is needed to destroy them. (Mogera tunnels underground in THE MYSTERIANS). DM: Was there much special effects footage shot for GODZILLA VS. SPACE GODZILLA that was not included in the film? KK: Yes. The majority of it is from the battle between Godzilla, Space Godzilla, and MOGERA in Fukuoka. DM: Was GUNHED (1989) based on the GODZILLA II story contest entry in which Godzilla does battle with a massive computer? KK: It was based on that story. DM: Was the full-scale model of Gunhed very difficult with which to work? KK: The full-scale model was constructed not only for filming, but also for use in promotion. It was much more difficult to work with than the smaller models. Gunhed was designed by an artist who primarily works on animated movies, and it was very difficult to make a three-dimensional object from his original design drawings. DM: The hands of the Kumaso god transform into a bow and arrows in YAMATO TAKERU (1994). How was that footage created? KK: The original footage was input into a computer and processed. The processed footage then was inserted into the film. That is my image of the future of movies. 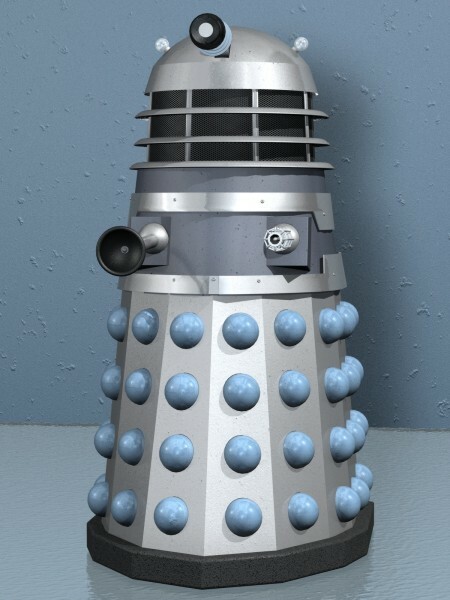 KK: I prefer to have them transform. It provides more entertainment for the members of the audience, and it serves as an identifying characteristic of the current Godzilla films. DM: The monsters you create do not wrestle with each other very much. They instead just use their rays. Why is this? KK: There are two reasons. One is the fact that it would almost be impossible for the monsters to wrestle with each other because of their tremendous size and weight. The other is my feeling that the monsters seem too human when they wrestle with each other. KK: It wasn’t produced because Godzilla wasn’t in it. Toho didn’t think that Mothra was popular enough to attract a large audience. DM: Why wasn’t COUNTERATTACK OF GHIDRAH (1991) produced? MechaniKong was going to have injectors. 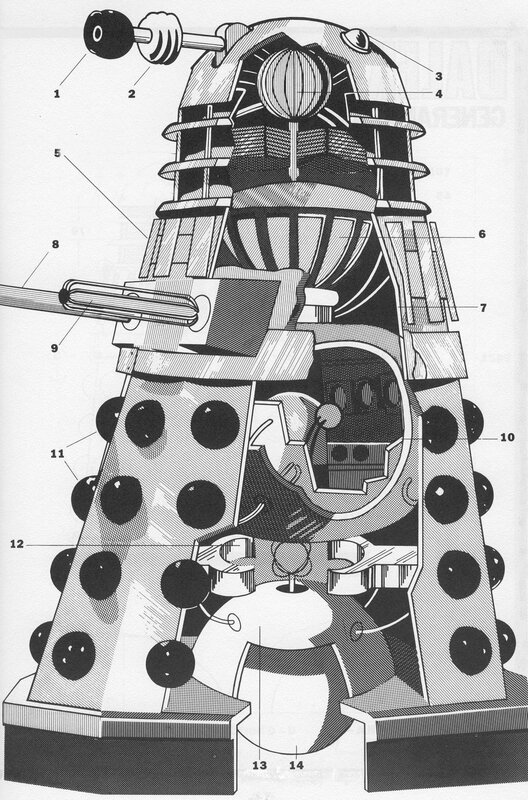 A number of people were going to be injected into Godzilla while the robot was wrestling with him. They then were going to do battle with Godzilla from within while MechaniKong continued to do battle with him from without. There were going to be many different strange worlds inside Godzilla. The concept was very much like the one on which FANTASTIC VOYAGE (1966) was based. DM: Have there been any other science fiction films proposed by Toho since the release of GODZILLA VS. BIOLLANTE that were not produced? DM: You began working for Toho in 1962. In what capacity did you work back then? KK: Three or four years later. DM: You worked as an assistant director on GODZILLA VS. THE SMOG MONSTER (1971). Did you work with the standard staff or the special effects staff? KK: They were half as large. KK: Mr. Omori is very creative. He revises scripts even during shooting. I very much admire Mr. Omori because of his creativity. Mr. Okawara, on the other hand, is more of a craftsman. He knows how to make films. KK: The two films are very different from each other. NINETEEN is a teen idol movie. However, the manner in which we worked with each other did not change very much. Our intentions both times were to attract young people and take a new approach. DM: Do you edit the footage you direct or do the directors with whom you work do that? KK: The directors have the right to make the final decisions, but I generally edit the footage. The directors usually will take part in editing it only if the running time of the entire film is too short or too long. KK: The schedule was very tight. We had only five days to shoot the special effects footage for each episode. We would spend three days shooting the set and the monsters by themselves, one day shooting the monsters wrestling with each other, and one day shooting everything else. DM: Exactly how much footage would you shoot for each episode? KK: I was very excited about working with Mr. Honda. I felt honored. He allowed me to do my own work. Even now I enjoy watching the episodes Mr. Honda and I worked on together. DM: Which of Toho’s older science fiction films are your favorites? KK: I like all of them, but I especially like THE MYSTERIANS and RODAN. DM: Which of the movies you worked on as a special effects director is your favorite? KK: SAMURAI OF THE BIG SKY. KK: It’s the first film on which I worked as a special effects director. In addition, I was given complete artistic control. I’m especially proud of SAMURAI OF THE BIG SKY because there is no stock footage in it. There have been many war movies produced by Toho, but most of them feature stock footage. There is very little stock footage of Zero fighters in widescreen format, so although the producers wanted me to use stock footage, I insisted that I be allowed to use only new footage. DM: Do you enjoy working on science fiction films any more or less than you enjoy working on the war movies? KK: I prefer working on war films because the characters in them can be very expressive, even when they are only relating with weapons. DM: What do you think of the Gamera movies? DM: What do you think of the Ultraman television series? KK: Ultraman, like Godzilla, is too perfect. It’s impossible to move away from him. A different approach should be taken, but I know that it’s very difficult to do so. DM: How did you like JURASSIC PARK (1993)? KK: I enjoyed the film, but it was too realistic. It would have been much more enjoyable if some fantasy elements had been incorporated into it. DM: What do you think the next few Godzilla movies produced by Toho should be like? 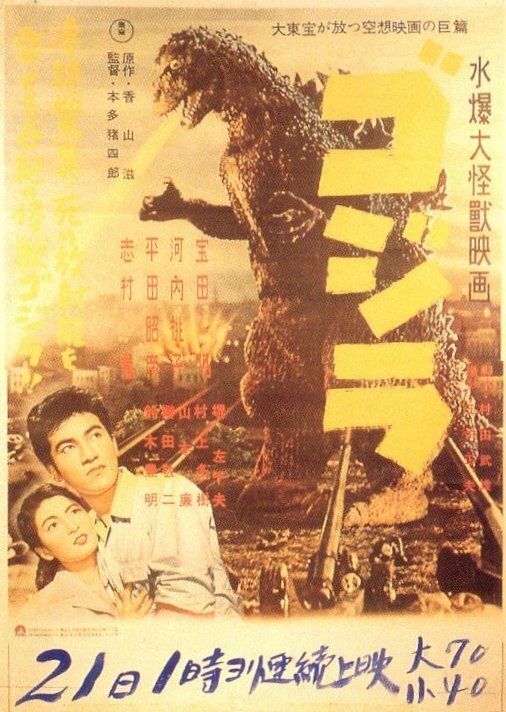 KK: The Godzilla series has lasted for forty years. Whenever we produce a new Godzilla film, we keep that in mind. We also produce each new Godzilla movie with the expectation that the series will continue on for another forty years. KK: The drama will center around the destruction of Tokyo. DM: Will Little Godzilla continue to grow? KK: Yes. He will grow into Junior Godzilla. DM: Is another amusement park ride featuring Godzilla going to be created in the near future? KK: There is going to be another one created, but it will not be a sequel to MONSTER PLANET – GODZILLA. DM: How do you feel about TriStar Pictures producing a Godzilla film in the United States? KK: I have great expectations for the movie. I’m looking forward to seeing it not only because I direct special effects for Godzilla films, but also because I am a movie fan. David Milner: Was the special effects production budget for GODZILLA VS. DESTROYER any larger or smaller than the special effects production budgets for the other recent Godzilla films? Koichi Kawakita: It was smaller. DM: Would the budget have been larger if Toho had had more success with them overseas? DM: Do you know why the movies haven’t been released in the United States? DM: I’ve heard that Minoru Yoshida designed all of the forms of Destroyer. Is that true? DM: Were his original designs very different from his final ones? KK: Mr. Nishikawa. However, some minor changes were made by the people who constructed the costume. DM: The design of Godzilla Junior is reminiscent of some of the pre-production sketches of Baby Godzilla. Was it based on any of them? DM: How much time was spent building miniature sets for GODZILLA VS. DESTROYER? KK: About a month and a half. DM: How much time was spent building miniature sets for each of the other recent Godzilla films? KK: A month and a half to two months. KK: The original idea was to have Godzilla be luminescent. He was going to be white and red. We tried using both luminescent paint and light reflecting tape, but they didn’t look sufficiently natural. So, we ended up using the most orthodox method. We took the Godzilla costume that had been made for GODZILLA VS. SPACE GODZILLA, and put about two hundred tiny orange light bulbs in it. We then put semi-transparent vinyl plates over the lights. There was a very thick power cable coming out of the end of the tail. DM: Did you come up with the idea to use the lights? DM: Were you concerned that they might damage the costume? KK: They did damage the costume. We knew that they would, so we shot the Super X III vs. Godzilla sequence last. DM: Which Godzilla costume did you use for the scenes in which Godzilla is seen in water? KK: We used three different Godzilla costumes. One was an entire costume, another was a partial that we used for the water scenes, and the third was a mechanical partial that we used for closeups. DM: Was the mood on the set of GODZILLA VS. DESTROYER any different from the mood on the sets of GODZILLA VS. BIOLLANTE, GODZILLA VS. GHIDRAH, and so on? KK: I didn’t sense any significant difference. All of the members of the staff knew that Toho was planning to resume production on the Godzilla series at the beginning of the next century, so the mood was not especially serious or somber. DM: I’ve heard that Ryo Hariya played Destroyer. Is that true? DM: Did Hurricane Ryu play Godzilla Junior? DM: For which scenes were they used? KK: The Metropolitan Police vs. Destroyer sequence. They are seen in only a few very brief long shots. DM: How much time did you spend shooting special effects footage for GODZILLA VS. DESTROYER? DM: How long were you in Hong Kong? KK: A week. We shot during the day, but used a filter to make it seem that the footage was shot at night. DM: How much time did you spend in post-production? KK: One and a half months. We were very rushed. DM: How long did it take to create the computer graphics? KK: About a month. The main title and destruction of Tokyo sequences were especially difficult to create. We included more computer graphics this time than we ever had before. We were in a rush, so we had to hire an outside firm to create the graphics. DM: Were IBM-compatible and Macintosh computers also used? DM: Were the computer graphics very expensive to produce? KK: They weren’t too expensive because I chose which shots should be created with computer graphics during planning. DM: Did you shoot much footage for GODZILLA VS. DESTROYER that wasn’t included in the film? KK: Godzilla and Destroyer originally were both going to die when Godzilla melted down. We shot that version of the ending, but weren’t very happy with it. DM: What other footage did you shoot but not use? KK: Footage that was going to be included at the very beginning of GODZILLA VS. DESTROYER. KK: Toho’s executives decided to keep it a secret because of the death of Godzilla. DM: I’ve heard that a few props were stolen. Is that true? KK: The mechanized crustacean form of Destroyer and the one meter tall Godzilla Junior model. They were never recovered. DM: Did the thefts interfere with production? KK: Yes. They interfered with production for several days. DM: Are you pleased with the way GODZILLA VS. DESTROYER turned out? KK: I’m satisfied with it. DM: Which of the Godzilla films for which you directed the special effects is your favorite? KK: I was given the opportunity to show the death of Godzilla. That will never again happen during my lifetime. KK: Toho’s executives didn’t feel that the time had come for Godzilla to die when GODZILLA VS. MECHAGODZILLA was produced, but they did this time. DM: Had they already decided to put the series on hiatus? KK: The decision to kill Godzilla was made before the decision to put the series on hiatus was. DM: Was Godzilla’s death prompted by TriStar’s GODZILLA? DM: Which of the Godzilla movies for which you directed the special effects was most challenging to produce? KK: GODZILLA VS. DESTROYER. It was the most challenging. KK: Well, the real title is GODZILLA VS. DESTROYER, but to me, the title is GODZILLA IS DEAD. Godzilla’s death had a big effect on me. DM: I remember seeing an interview with you on CNN during which you said that shooting the scene in which Space Godzilla levitates Godzilla was very difficult. What made that so difficult? KK: Space Godzilla came from one of Godzilla’s cells. So, having Godzilla do battle with him was just like having Godzilla do battle with himself. For that reason, I tried to make the battle very unusual. That’s why it was so difficult to shoot. DM: Do you ever feel constrained by the production budgets with which you work? KK: I always feel constrained by the budget and by time. We always are very rushed during both production and post- production. It’s the nature of movie directors. We always want more time and more money. By the way, we had less time to shoot the special effects footage for GODZILLA VS. DESTROYER than we did to shoot the special effects footage for any of the other Godzilla films produced since GODZILLA VS. BIOLLANTE. DM: GODZILLA VS. DESTROYER has received a lot of attention from the American media because of the death of Godzilla. Has the movie also received a lot of attention in Japan? KK: I haven’t heard what Mr. Satsuma thinks of GODZILLA VS. DESTROYER yet, but I would imagine that being the person who played Godzilla when he died would make Mr. Satsuma very proud. Mr. Satsuma always wanted to avoid portraying Godzilla anthropomorphically. We completely agreed on how Godzilla should be portrayed in GODZILLA VS. DESTROYER, so things went very well. DM: What do you think of Mr. Satsuma’s portrayal of Godzilla in general? KK: I have been very impressed with Mr. Satsuma’s abilities ever since we worked on GODZILLA VS. BIOLLANTE together. I spent seven years working with Mr. Satsuma. They passed very quickly. KK: Mr. Eguchi loves his work because the footage he gets to shoot is very evocative. He always is very enthusiastic. Mr. Eguchi has a very good eye. DM: Do the two of you work closely with each other? KK: We are very different, but despite our differences, we always manage to work well together toward the same goal. I enjoy that very much. DM: What do you think of GAMERA – THE GUARDIAN OF THE UNIVERSE (1995)? DM: Do you think that Toho’s decision to stop making Godzilla films was a good one? KK: It was a good decision. DM: Why do you feel that way? KK: We produced six Godzilla movies in seven years. It was wonderful to provide entertainment that people seemed to enjoy very much, but if we had continued producing the same kind of film over and over again, people eventually would have lost interest. I think it’s good that we stopped while people were still interested. That way, there will be enthusiasm for the series when it is resumed. Godzilla will be created within a completely different culture, and then, after TriStar’s GODZILLA is released, an entirely new Godzilla will be created by Toho. KK: Efficiency. The less area the pool occupies, the more efficiently we can shoot in it. Now that we have digital compositing available to us, all we need to be able to shoot is the subject and the water immediately surrounding it. DM: I’ve heard a rumor that you’re planning to retire soon. Is that true? KK: It’s not yet time. DM: Is the movie going to be a remake of MOTHRA (1961)? DM: I’ve heard that Toho is going to produce a film featuring Ghidrah in 1999. Is that true? KK: That film probably will be made at some point. DM: Is Toho going to produce a sequel to YAMATO TAKERU (1994)? DM: How did you like working on that movie? DM: What do you think the next few Godzilla films produced by Toho should be like? 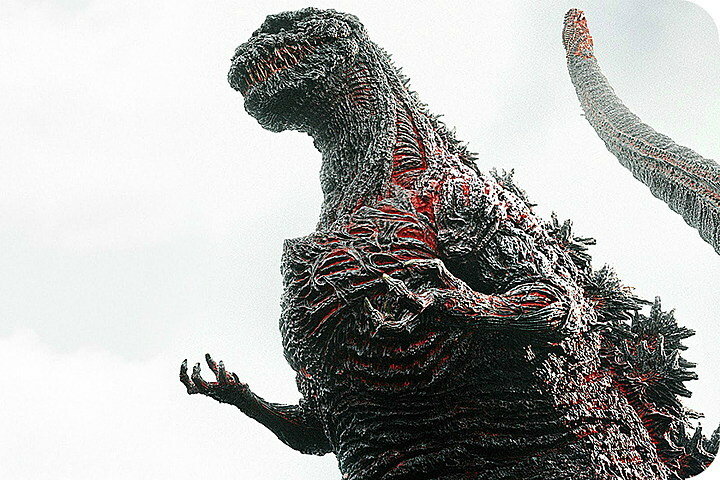 KK: I think that they should be powerful enough to make people forget about all of the previous Godzilla films. I also think that the next few Godzilla movies should be more somber, and focus more on the human characters. If we don’t focus more on the human characters, Godzilla films will never be very appealing to foreign audiences.